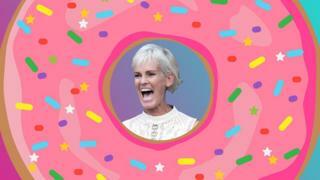 Judy Murray took to social media to complain after her Scottish ten pound note was refused at a bakery in London. 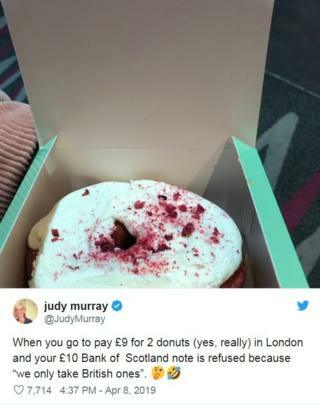 Judy, mum of tennis superstars Andy and Jamie - tried to pay nine pounds for two doughnuts at a London bakery on Sunday, but was told her Scottish currency was not valid. Many of her thousands of followers commented to say they had similar experiences, whilst others sent their support. One person on posted, "But they'll accept your Scottish son to play for Britain!" Now a Scottish politician is trying to change the law to have Scottish banknotes accepted in the UK and to force businesses to accept them as payment. Liberal Democrat deputy leader Alistair Carmichael says "It's beyond time we give legal force to the well-known phrase 'that's legal tender, pal'". Quiz: How well do you know your coins? No, not even in Scotland, but that doesn't mean they shouldn't be used. While not legal tender, they are UK Parliament-approved legal currency, which makes them a perfectly acceptable way to pay. So, what is legal tender? It basically means if you had to go to court because you owed someone money, you couldn't pay off your debts with Scottish notes. 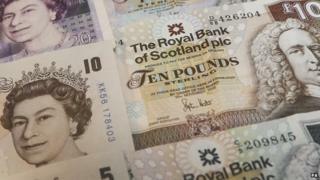 Why does Scotland have its own notes? Although Scotland has it own version of the five, ten, twenty and fifty pound notes, they are still worth the same amount as English money. The reason Scotland has its own money is partly political, as it is a different country to England. It also comes from a movement in 1826 called the Malachi Malagrowther campaign, where people wanted Scottish banks to keep the right to issue their own notes. Malachi Malagrowther was an old-school user name or handle used by famous writer Sir Walter Scott - the name Malagrowther is a character in one of his novels. Currently, three retail banks are allowed to print notes for circulation in Scotland: Bank of Scotland, Royal Bank of Scotland, and Clydesdale Bank. Sir Walter features on all notes issued by the Bank of Scotland - not just because he was a brilliant writer (although he certainly was), but because his currency campaign was successful. But, notes from other banks in Scotland include landmarks or other famous Scottish people, such as Rabbie Burns. What if a shop refuses your money? Sadly for Scottish note holder or Judy Murray, shops don't have to sell you stuff, whatever you offer for payment. Northern Ireland also has its own money, issued by four retail banks since 1921. Northern Irish banknotes are a valid means of payment in Northern Ireland and England, but again shops don't have to accept them. Like Scottish money, they are not legal tender in other parts of the United Kingdom or the Republic of Ireland. Will Andy Murray be ready for Wimbledon? I wish that happened with all types of foods!